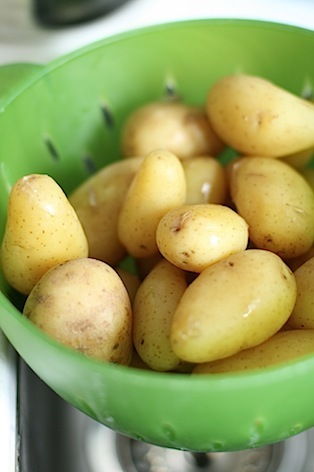 This is the potato salad I made using the dill and rapeseed mayonnaise in my last post. I was wondering how to use this can of hearts of palm shown below and read on the side that it went well with smoked fish. I tend to keep a wallet of smoked salmon in my freezer, they defrost within little more than an hour meaning you have smoked salmon pretty much whenever you fancy it without hurrying to use it after purchase. You can buy frozen smoked salmon from IKEA but I don’t recommend this as the fish is very pale and lacks flavour. So whenever I spot a reduced pack of fresh smoked salmon in the supermarket, into my freezer it goes. 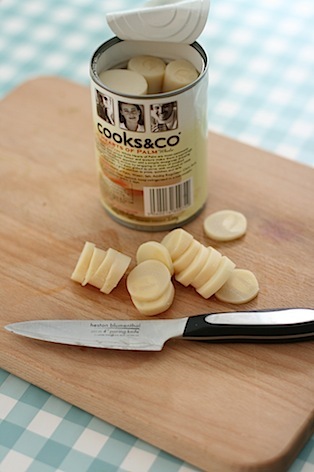 Hearts of palm are a vegetable I would use again – they’re soft and not strongly flavoured, a kind of fusion between bamboo shoot, asparagus and mushroom. They’re soft and mix in well with potato. I also stir fried some hearts of palm in left over rice the next day. An interesting backdrop vegetable rather than a main star of the dish. Handy to keep in the cupboard to add extra bulk or interest to a salad. There’s no fixed amount for most of the ingredients, just use as much or as little as you fancy depending on your favourites! 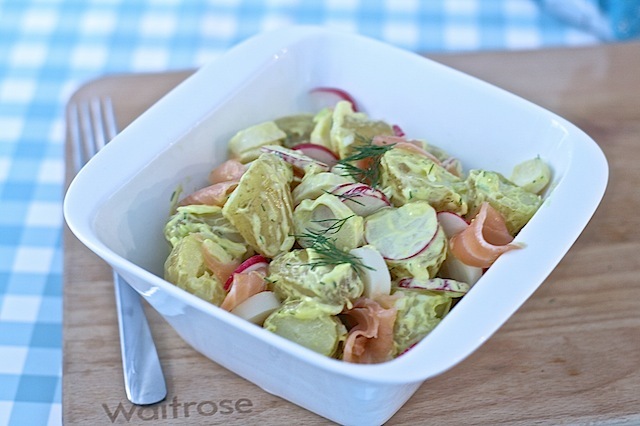 This would make an excellent ideal picnic or lunchbox dish. Or a light lunch. With thanks to Cooks and Co for product samples.